I'm counting down the days until my nephew, Ayden, is born. 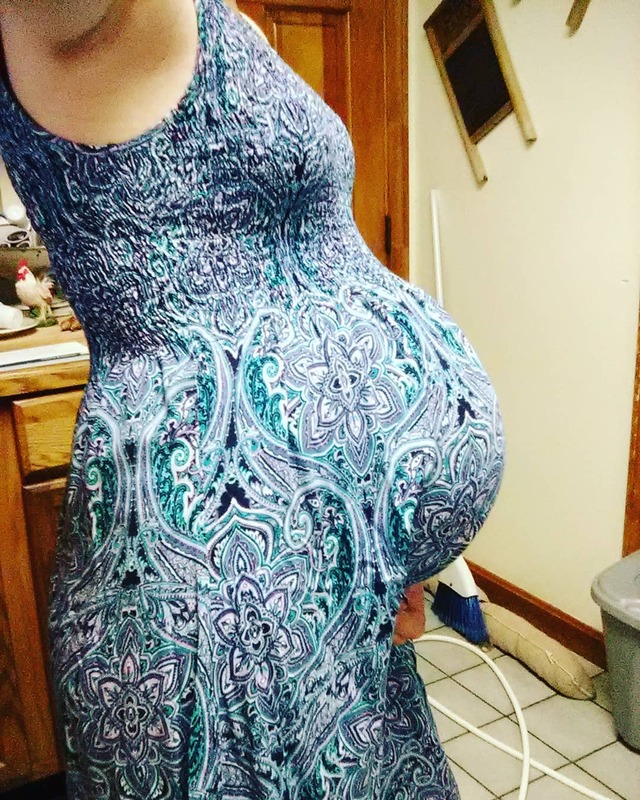 My brother's girlfriend, Sara, is due August 3rd and I just can't wait to hold that new baby in my arms! We showered Sara with gifts for baby Ayden a few weeks ago. So now it's time for this excited auntie to get some baby paraphernalia together of her own. Luckily, DaffaDoot is offering a 20% off sale on all of their items using the promo code HWBLFYLE. DaffaDoot is all about family values, and they are on a mission to improve the lives of everyone they can reach. DaffaDoot is a Mother/Daughter team, and proudly donate their time and money to numerous organizations supporting pregnant moms-to-be, new parents, battered women, and school age children. They are insanely committed to providing the best customer service on the planet and delivering only the highest quality products available. Get 20% off any of their fabulous products like a crib wedge, auto seat protector or car mirror. Don't forget to use the promo code HWBLFYLE to get the discount! Through my partnership with USFamilyGuide, DaffaDoot sent me a complimentary auto seat protector to review. I keep a fairly clean car and intend to attempt to keep it that way, despite having a baby and his older brother, Mason, in my car. This auto seat protector is the product to do just that. 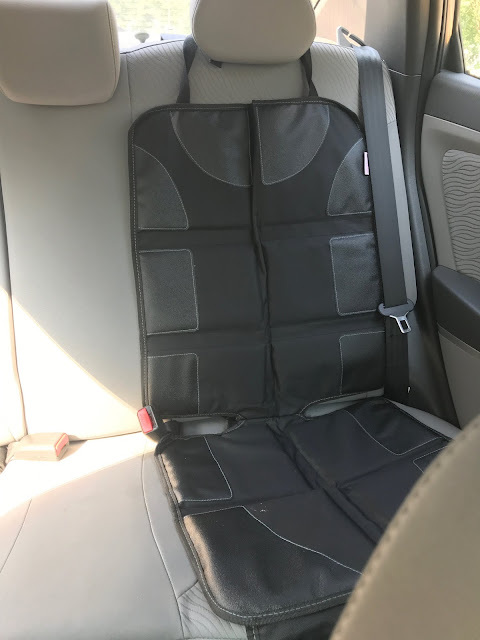 The auto seat protector is made with 14mm padding to prevent denting of your car's seat and neoprene non-slip backing grip along with leather reinforced corners to prevent tearing. Installation is a breeze - simply loop it over the car's headrest. There is an extended "lock-down" bulb that you can tuck into the crack of the car's seat/back to further stabilize it. The folks at DaffaDoot even tested their auto seat protector in an oven to make sure the material is color-fast and won't stain your car's fabric! The icing on the cake is this auto seat protector comes with a nifty elastic storage pocket at the bottom to store wipes, diapers, etc. and includes a separate first-aid kit. So why wait to buy one when you can get 20% off now with promo code HWBLFYLE!